The Chester Shops is based on a shopping precinct on the High Street in Chester called “The Rows”. This building is ideal for the enthusiast who wants to create four individual shops within the one building. 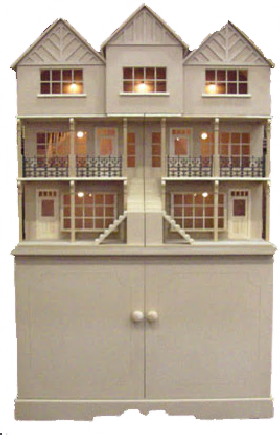 With the aid of the latest CAD programming and state of the art CNC machining technology we have produced one of the most fascinating buildings in 1:12th scale. Please note: for ease of decoration, the windows, doors, dormers, internal/external moulding's etc. are not glued into place. A cabinet for The Chester Shops is available as an optional extra.